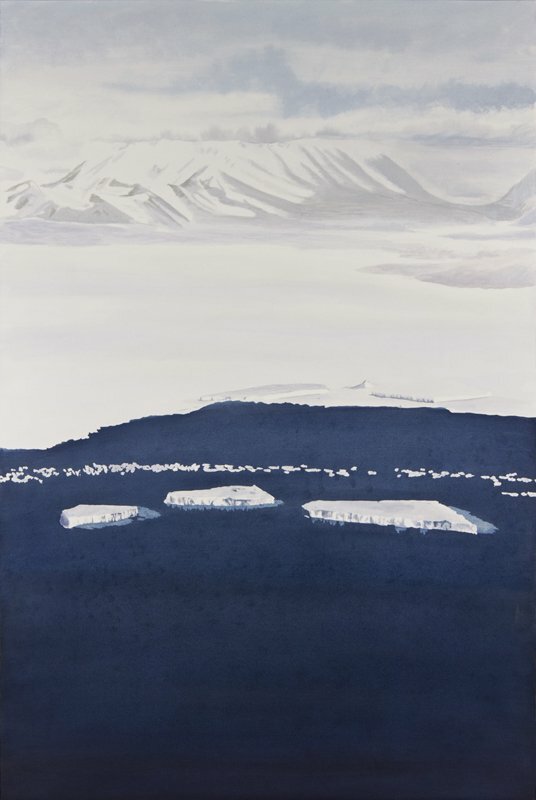 The Antarctic Space and Light paintings are a response to the vast West Antarctic Ice Sheet. 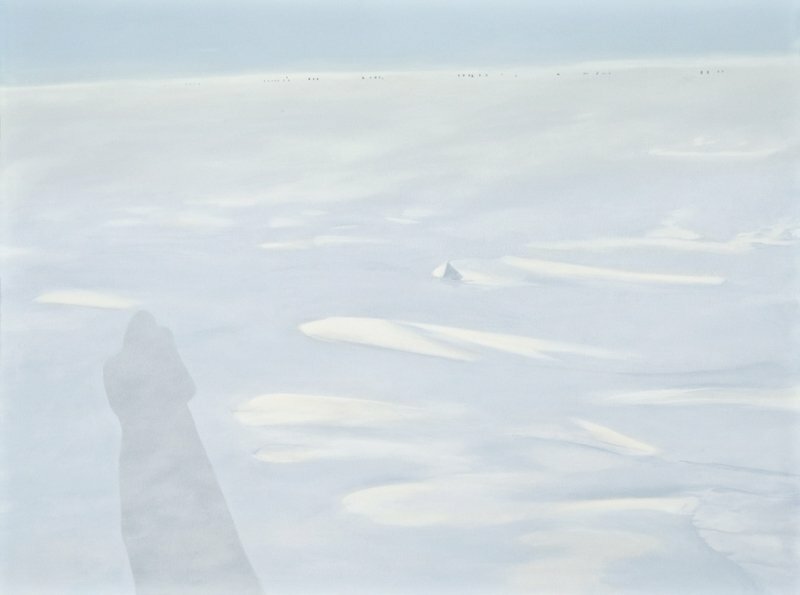 When I first arrived, the research camp appeared featureless, broken only by grids of cargo, tents and power lines. 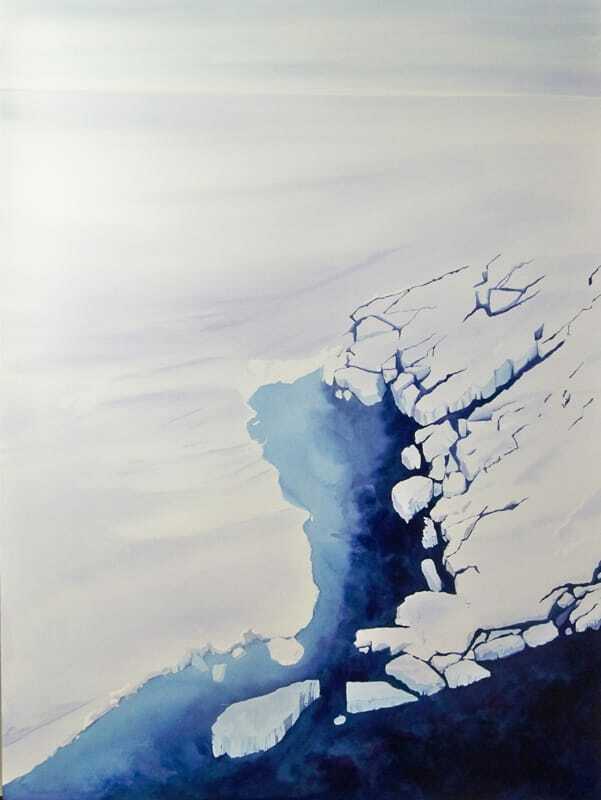 But gradually a subtler level of contrast materialized. 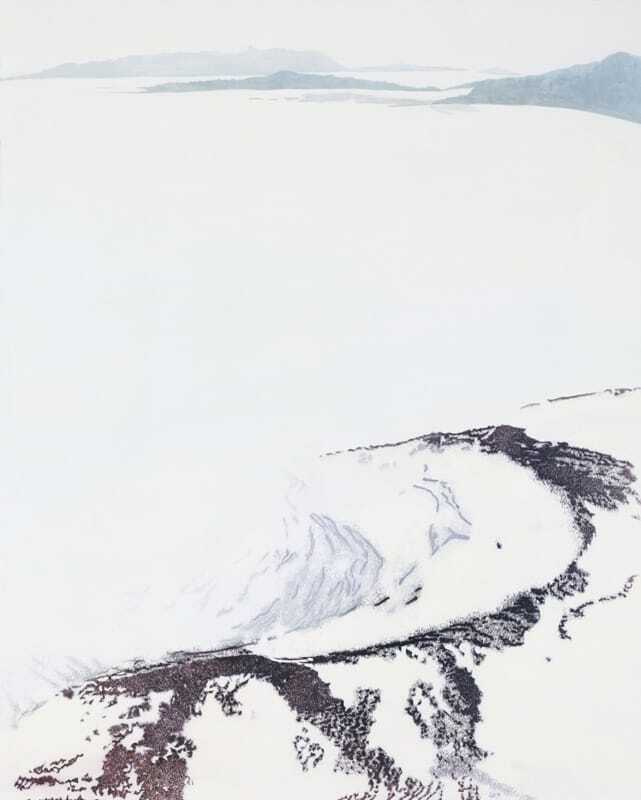 The two constants in this landscape, wind and snow, interact to create a lineage of patterns. 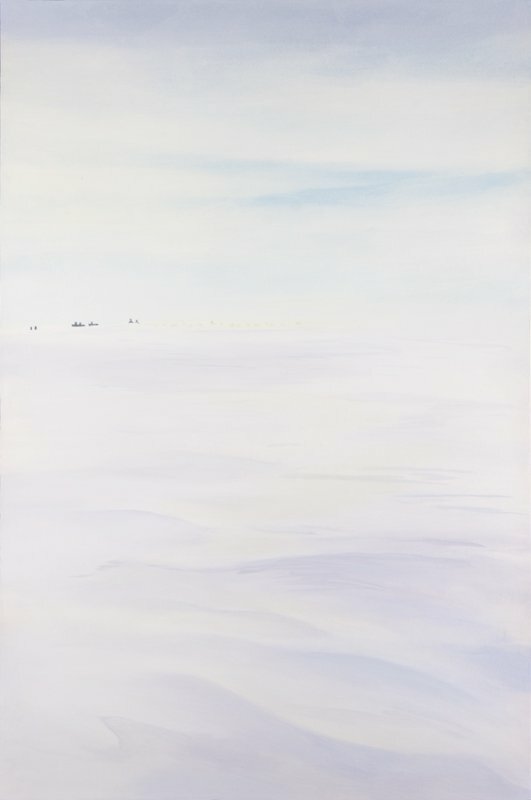 The white light turned out to be made of ever shifting hues of purple, pink, yellow, and blues. 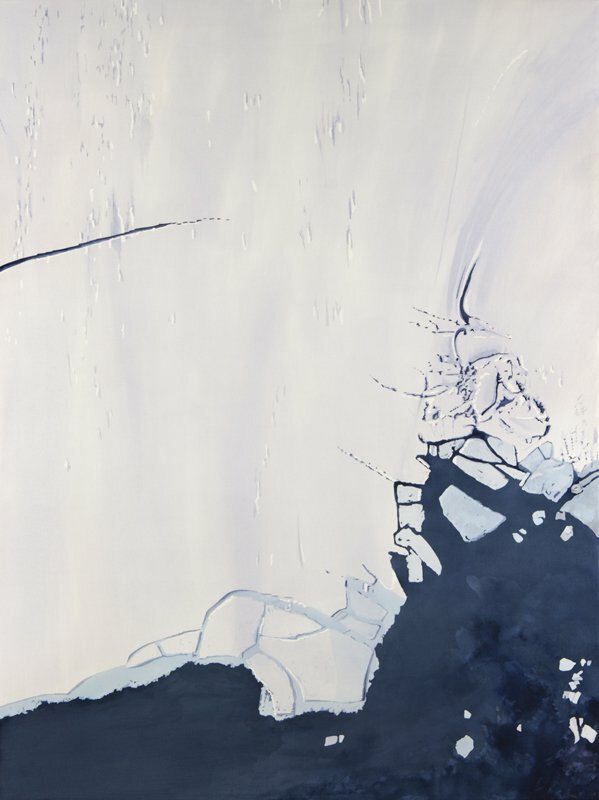 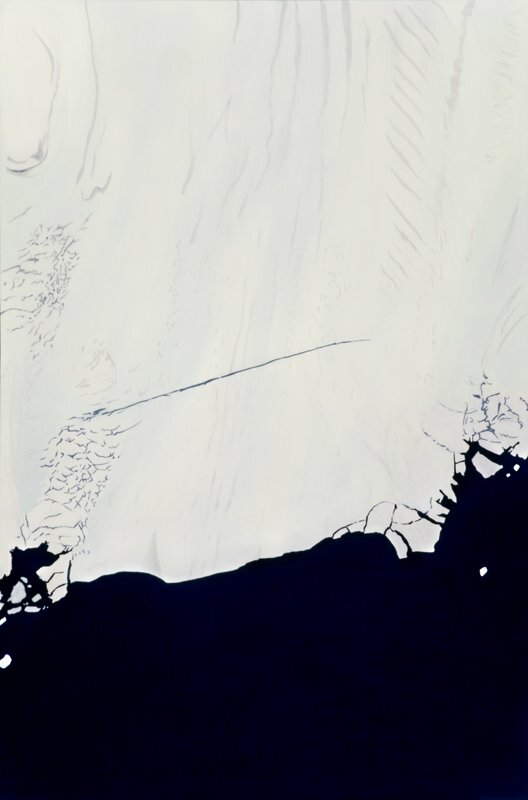 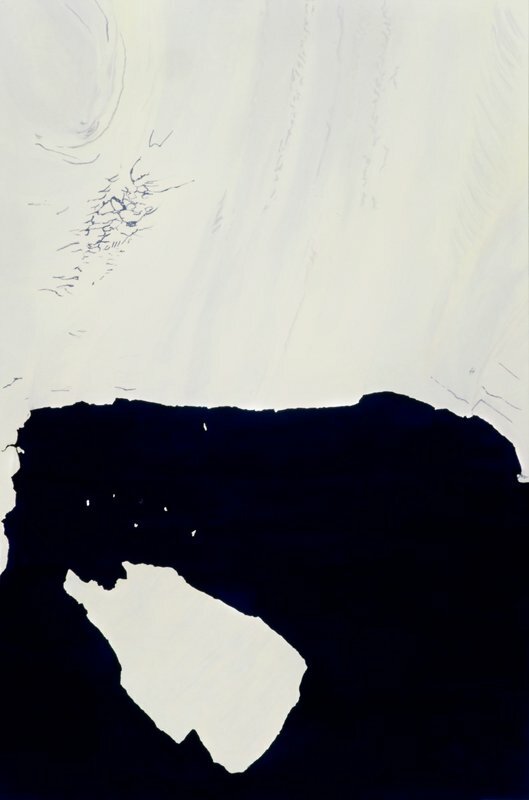 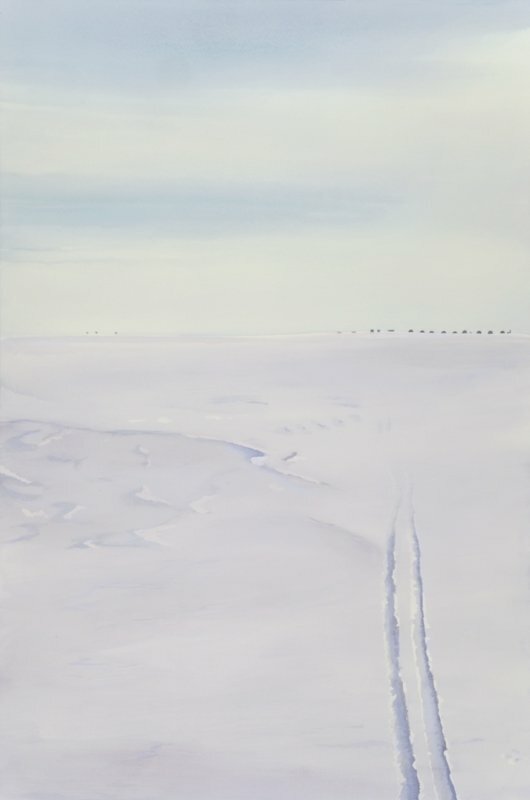 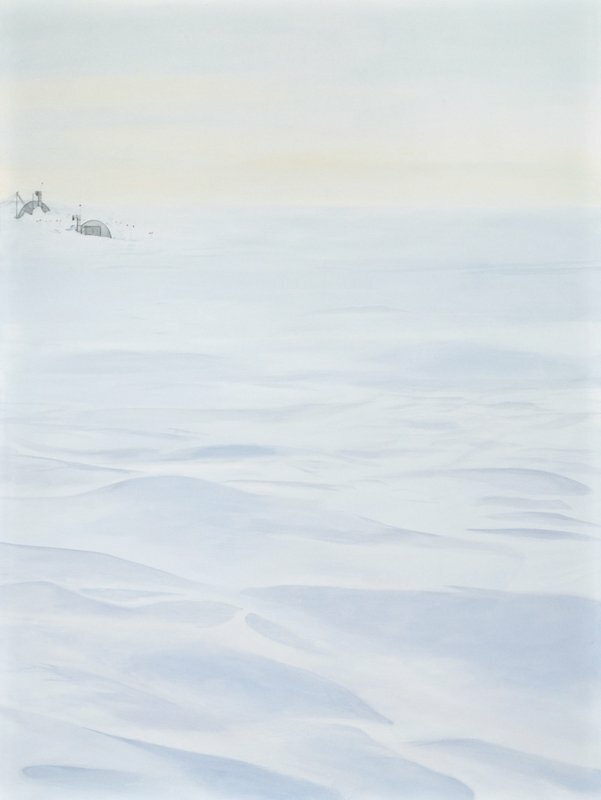 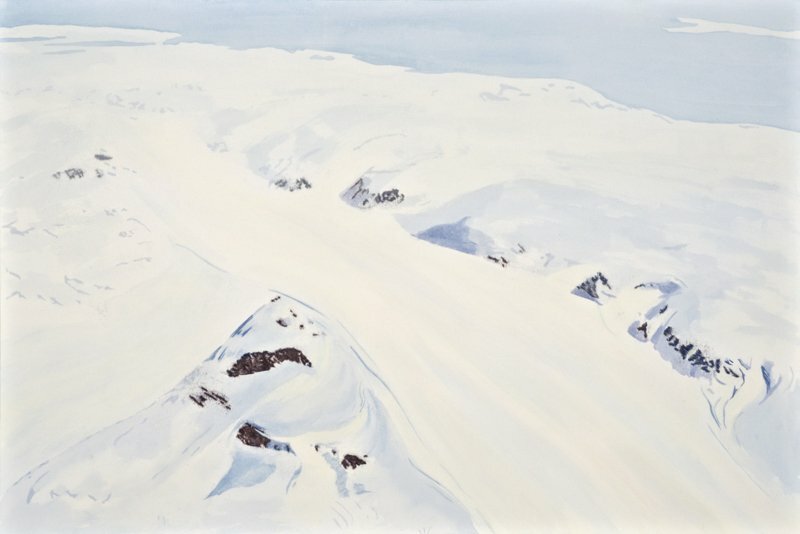 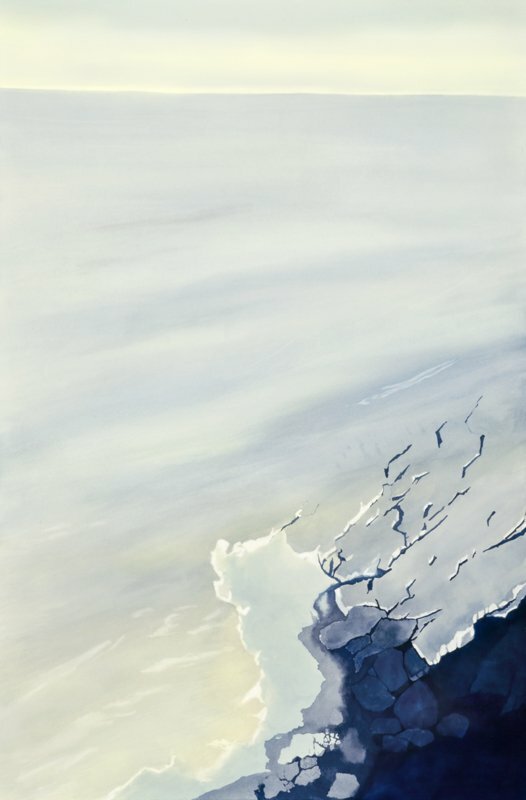 In many of the paintings, expanses of white are encroached by edges of dark ocean that contrast the stability of immense ice sheets with the quickening recession of outlet glaciers occurring at their edges, suggesting change and unpredictability.